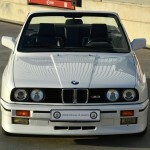 Spanish delivered M3 Convertible in Alpinweiss 2 (218) white with full Leather Interior in Black(0318). 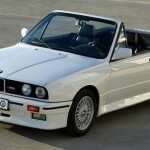 The E30 M3 Convertible has only 786 times been built at BMW M GmbH in Garching, Germany. Very very hard to find, especially in this mint condition. Very few cars are for sale and spectacular rise in price can be expected in the coming 1-3 years. 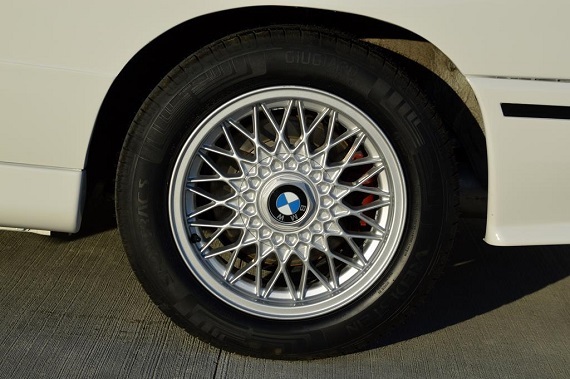 This very car has been handbuilt and was finished on the 15th of May 1990 at the plant in Garching and was delivered to the BMW Dealer in Spain. 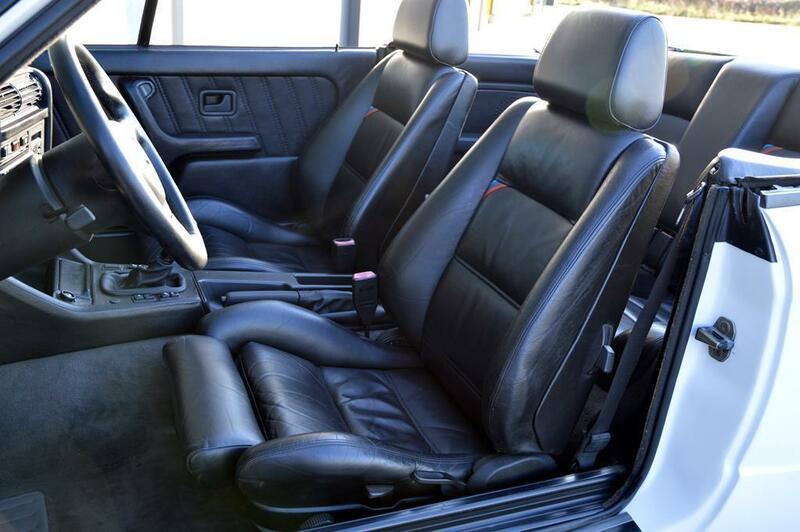 It came with a full leather interior and even with Airconditiong, very are on a convertible! It features the famous 2,3 Liter S14 sixteen-valve engine with 215 horsepower and a 5-speed Dogleg gearbox. The has completely been checked and serviced. Drivetrain is perfect. Engine starts up right away without any smoke, Gearbox shifts nicely and is silent. The car has never been modded, tuned or messed with. A very nice spanish preserved body in a great original condition. Free of rust. The car looks absolutely stunning in Alpinweiss. They paint is free of user marks and has a deep shine to it. Car is very straight and unmolested. The car’s interior shows its 40K miles wonderfully. 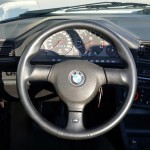 Very nice and soft leather in 0318 BMW-Black. The carpetting is just as nice, this car taken care of very well. 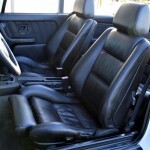 The softtop is brandnew and has just been renewed with the correct fabric. The softtop is electrical and fully funtions, just press the button and the top goes down or up. The original hard top comes also with the car and is in a great shape. The car comes with Spanish documents. I bought the car from the 2nd Spanish owner. He had in storage and drove it occasionally. 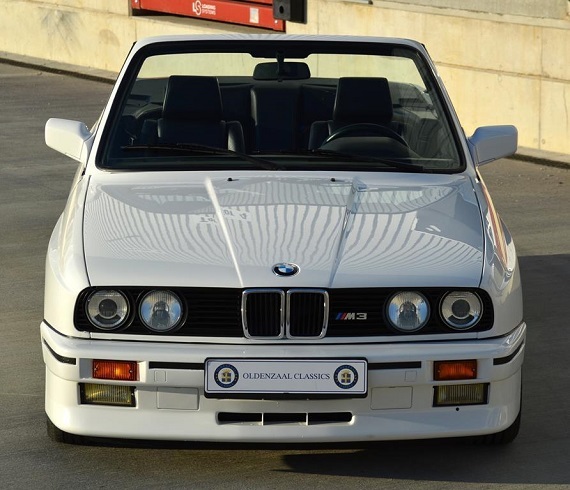 Here is the chance to buy and drive a original and unmolested E30 M3 Cabriolet. Please look at the many pictures below! I’m a dutchman, my company is dutch. The car is located in my German warehouse/dealership. You can reach me on 0031 6 5521 2828 between 9:00 and 22:00, Dutch time. You can always contact me with questions about the car. Please mail me with any questions. I’ll try to answer asap. I have sold many cars in europe but to the USA as well. Ofcourse i will help in shipping and insuring the car in transport. The buyer must contact me within 24 hours after end of auction. A deposit of 10% needs to be paid within 3 days via Banktransfer (No paypal). Then we’ll discuss finalizing the deal. For shipping qoutes just send me an email. This particular M3 Convertible is presented about as good as I’ve seen one come to market. The gleaming paintwork and shining and supple looking leather belie that this is now a vintage car in most states. This is one of the second run of BB05 cars, meaning it’s got an extra few horsepower – late cars were rated 215 horsepower versus the earlier 195. 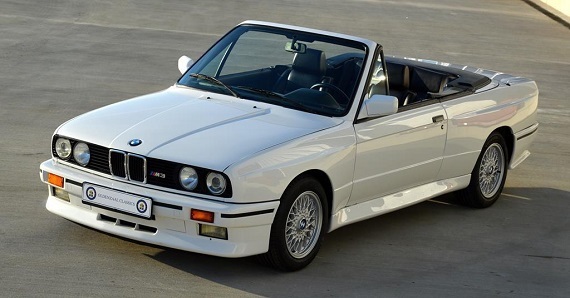 These were the most produced of the quite limited run of E30 Convertibles, with only 476 produced. Condition appears to be show ready. 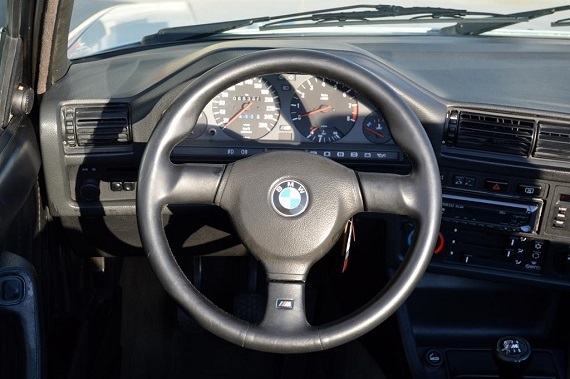 The fact that the car currently resides in Germany and will require not only transport but importation work has not disuaded active bidding; at time of writing with the best part of two days left to go, 52 bids have pushed the current price past $70,000. It will be interesting to see if this car comes anywhere close to the more limited models we’ve written up in the past year, including the $86,000 paid for a 17,000 mile Europameister Edition. Amazing though it may be, it seems like this market is still very much on the rise. If you post it, they will come…. Tagged 1990, Alpine White 2, BBS, BMW, Convertible, e30, m3, S14. Same here, it makes no sense.